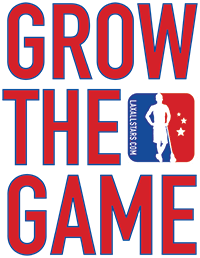 This week, the Lacrosse All Stars contributors came together and established a comprehensive NLL Power Rankings list. The consensus number one was Georgia, which took all eight first place votes with Philadelphia coming in at the bottom. It was a tight race between the Bandits, Black Wolves and Rock, but Buffalo ultimately came out on top in terms of third place voting. See below to check out the full NLL Power Rankings for Week 6. Also, submit your own power rankings to the LaxAllStars staff in a form below. Check back at the end of the week to see the totaled rankings decided by YOU the fan! New England Black Wolves 63 Defeated Calgary, 16-10 v. Georgia, 1/19 @ 7:00 p.m.
Calgary Roughnecks 46 Lost to New England, 10-16 v. San Diego, 1/18 @ 10:00 p.m.
Who do you have as the No. 1 team in the league? Our fan results will be posted later in the week! Rank your top teams in the NLL! Also, if you liked our NLL Power Rankings, be sure to check out our NLL Week 5 Twitter Reactions.